Dale Fastener Supply has been manufacturing and fabricating custom U-Bolts and Coated U-Bolts, Anchor Bolts, Specialty Bolts, Eye Bolts, J-Bolts, Square Bolts, Stud Bolts, Hex Head Cap Screws, Socket Pipe Plugs, Stud Bolts and other fastener products for a variety of industries since 1959. Dale Fastener Supply is an authorized stocking distributor for UNBRAKO, Flexloc®, SPIROL Fasteners & Pins®, and SIMPSON STRONG-TIES®. We also stock ‘standard and long tangent round bend U-Bolts’ including Strut Hardware for a variety of industries. Our success has been possible through excellent service and a commitment to quality unmatched in the industry. 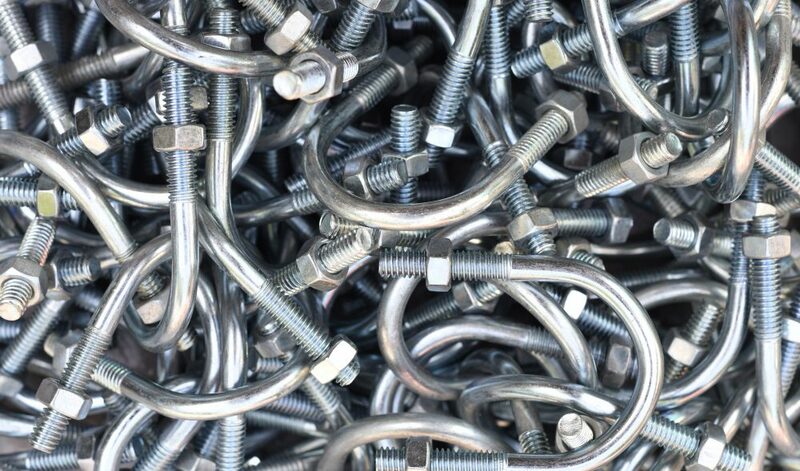 We take pride in our dedication to efficiency and would be pleased to support all of your fastener needs. Specials are made to order with short lead times. The Dale Company can ship special orders the same day, including a '24 hour service'. Let us know about your project and a Dale Company representative will contact you. Dale Fastener Supply manufactures and distributes custom bolts primarily for a range of industries. We work heavily with customers throughout the oil & gas, oilfield, agricultural, industrial equipment, and many other industries. We frequently work with OEM (Original Equipment Manufacturers) customers as well. We can manufacture virtually any special bolt or fastening product to meet your needs. Dale Fastener Supply manufactures custom and standard Bolts that are made to print and out of any type of materials such as Monel®, Inconel®, aluminum, corrosion-resistant nickel and naval brass. We also provide coatings including black, HDG (Hot Dipped Galvanize), zinc plated, 304 SST (stainless steel), 316 SST (stainless steel), Polytetrafluoroethylene coated, & polyolefin coated. At Dale Fastener Supply, your satisfaction is our first consideration. Our philosophy is simple; we believe in a strong commitment to customer service with consistent quality, personalized service and dependability and have proven to be mutually beneficial for our customers. Every new customer is a potential repeat customer. Our customers are given the personal attention they deserve the moment they call.